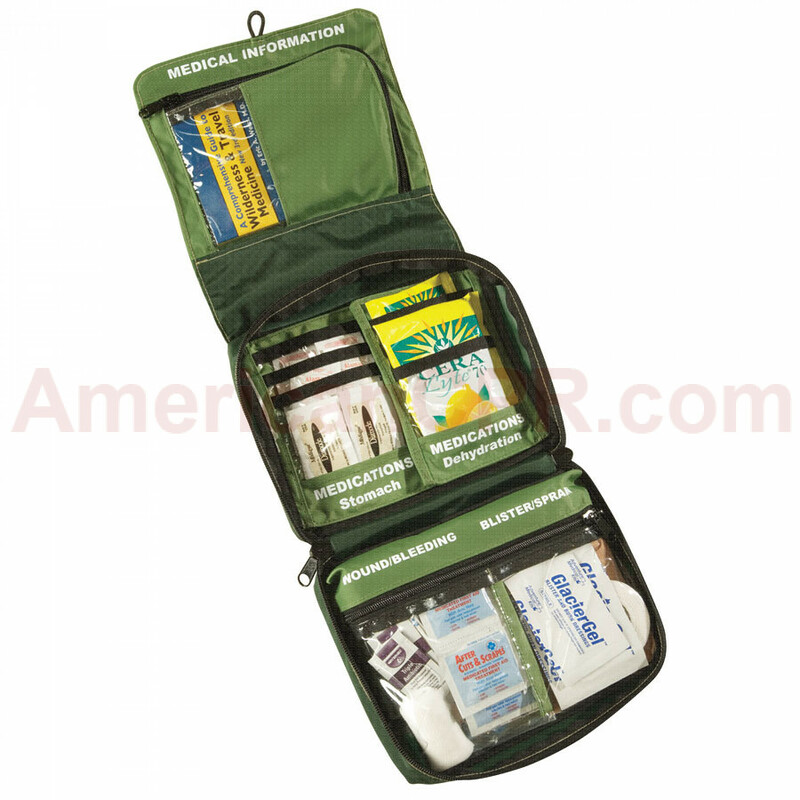 Kit contains enough first aid and medical gear for 1-4 people for multiple days. - Ample space for personal prescriptions. 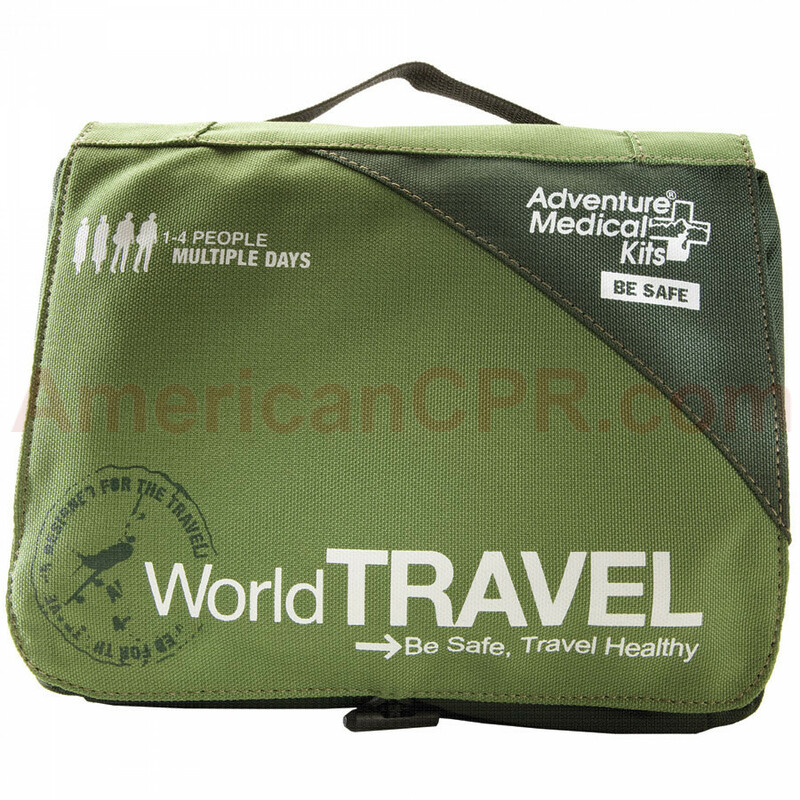 - Visual Communication Tool enables you to get medical care in any language or far-flung locale. 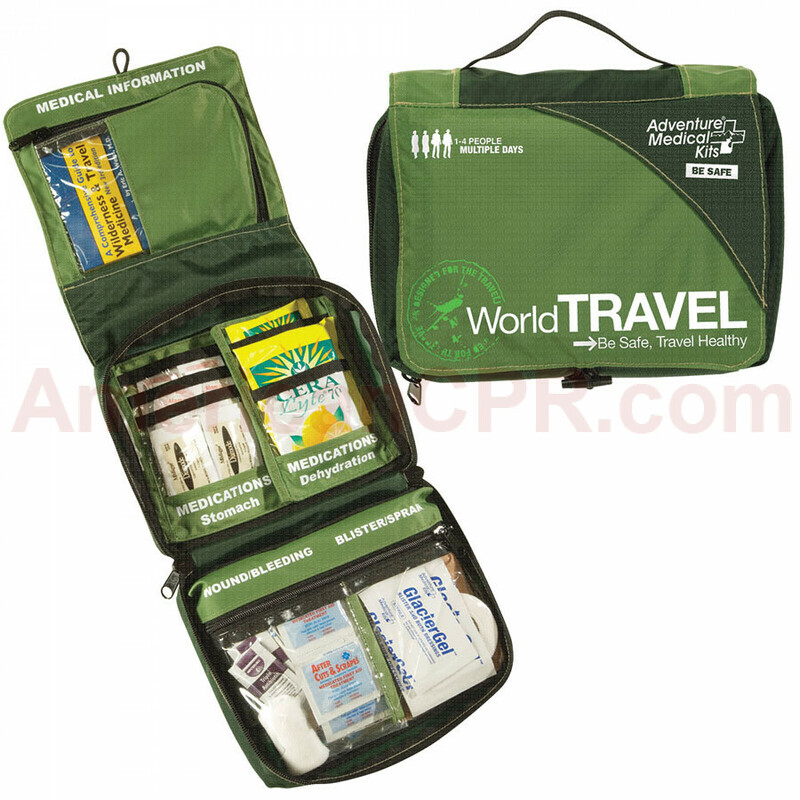 - A wide array of medications to treat stomach ailments - the most common travel ailment. 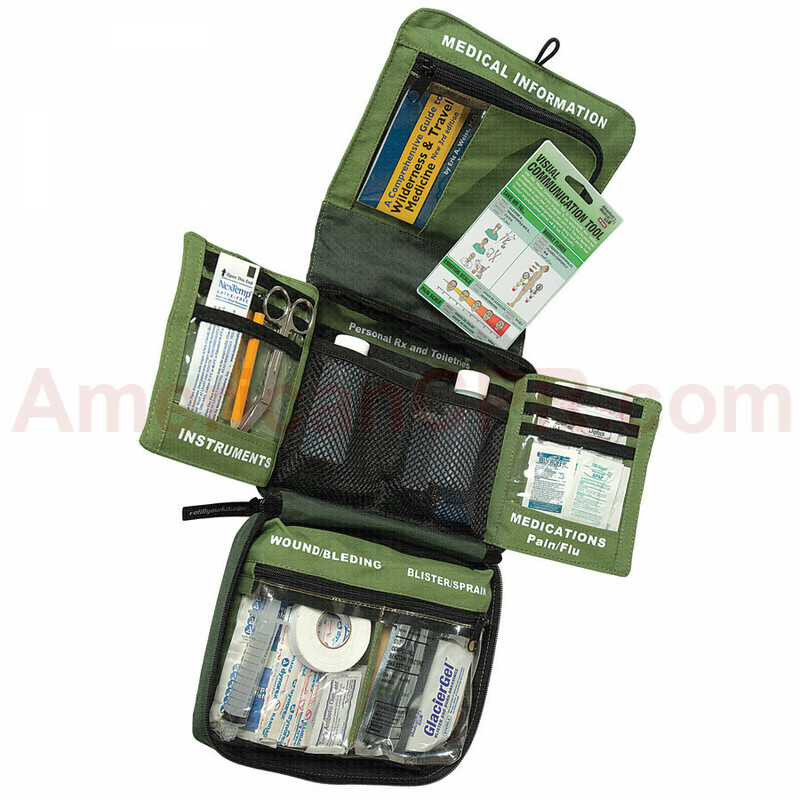 - Die-cut Moleskin and GlacierGel™ hydrogel bandages to protect against the hiker's #1 injury. 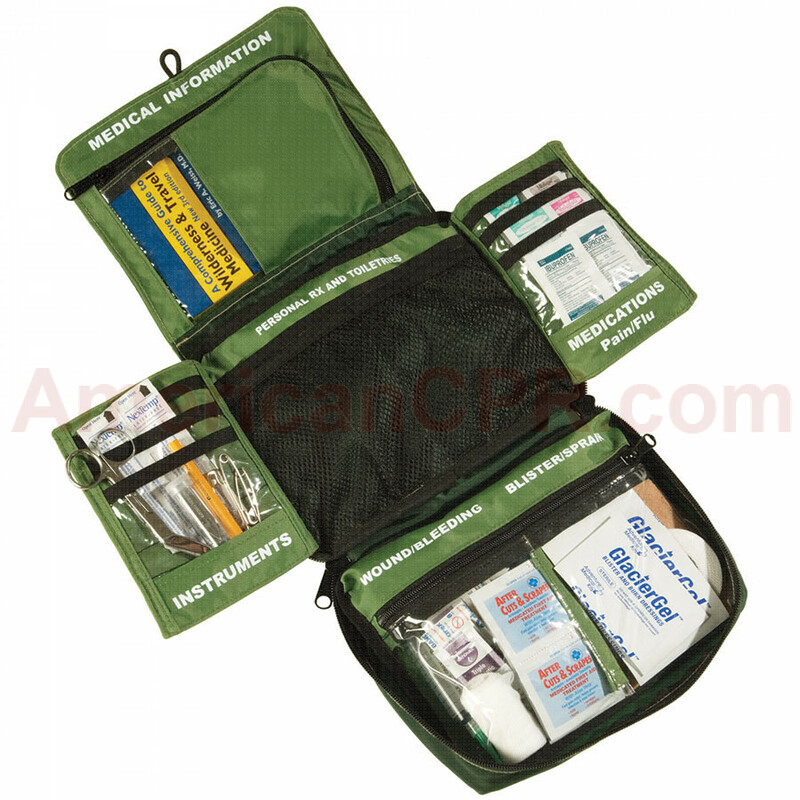 - Includes TSA-approved 3-1-1 bag for liquids and cosmetics. 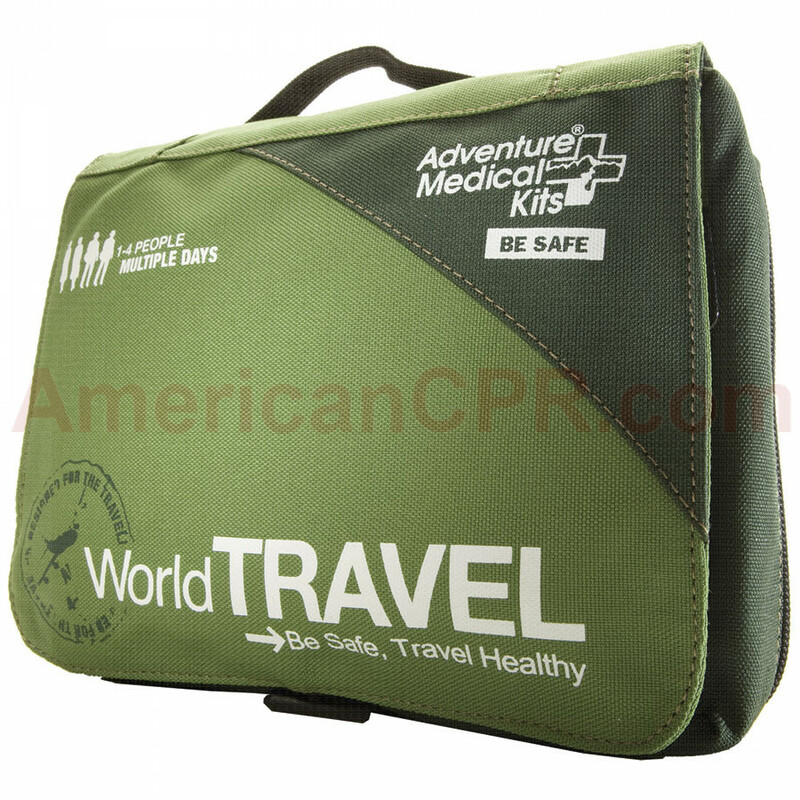 Adventure Medical World Travel - Adventure Medical Kits.